Use the price comparison website search engine below to quickly find the cheapest car hire from Malaga Airport on Spain’s Costa del Sol. Within seconds we give you the lowest quote for hiring a car from Malaga Airport. The price comparison search engine below will compare all the current Malaga Airport car hire deals and car rental rates to give you the lowest and cheapest car hire deals from Malaga Airport. The price comparison tool will compare all the latest from Malaga Airport car hire deals and car rental rates between the major international brand name car hire companies as well as national and local Spanish car hire companies. By quickly comparing the Malaga Airport car hire rates between all the different Malaga Airport hire car providers you are given the very cheapest deals on the market – saving you endless amounts of time in manually comparing Malaga Airport car hire prices. By the time you have compared car hire rates from Malaga Airport you will often find the prices have changed and you have to start your comparison all over again! Have you ever spent hours in frustration pouring over car hire websites trying to find the cheapest car hire for your trip from Malaga Airport? It is free to use – just put in your dates for your car hire from Malaga Airport and tell us what type and size of car you want to hire – then let the price comparison booking engine do the rest! The price comparison search engine is powered by Car Trawler and it sifts and compares the lowest rates from the major brand name car hire companies in Spain as well as independent local Spanish car hire companies – thus getting you the best deal possible for your particular dates from Malaga Airport. HOW MUCH DOES IT COST TO HIRE A CAR FROM MALAGA AIRPORT? From the 31 July to 14 August i.e. 14 days, Goldcar will rent you a car in Malaga Airport for a price of €332 for an Opel Astra or similar car. From the 28 August to 04 September i.e. 7 days, Marbesol will rent you a car from Malaga Airport for a price of €100 for an Seat Ibiza or similar car. This car hire Malaga airport page is designed to help find you the cheapest car hire deals from Malaga and in particular from Malaga Airport but although this might be a strange thing to say – the first thing to ask yourself is – do you REALLY need to hire a car from Malaga? If you are staying in an apartment, typically most of them are in built-up areas full of shops, bars and restaurants. Most people visiting the Costa del Sol coast of Spain will arrive at Malaga airport but consider the alternative of taking a taxi or arrange an airport pick-up at the beginning and end of your stay rather than choosing car hire Malaga. WHERE DO YOU FIND THE CHEAPEST MALAGA AIRPORT CAR HIRE? Well right here on this page where we show you a number of the best options together with tips on things to look out for when hiring a car from Malaga Airport and things to avoid as well as essential things to know about driving in Spain. We have carried out extensive research comparing all the top car hire companies. We often hire cars from Malaga Airport ourselves so this research was of particular interest to us. Well no company has the market sewn up. As we tried different dates we got differing prices. 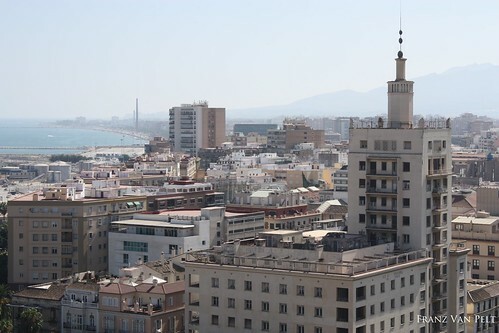 There were however a number of Malaga car hire companies that were always the cheapest (or almost the cheapest) and a number of car hire companies (usually the major global brand-name ones) that were consistently the most expensive. Looking at each company’s website is a definite waste of your precious time. It will take hours and hours and you will get so overloaded with information that your eyes will go blurry and you will forget most of what you read and be completely confused at the end! The best tool to use is a search-engine which trawls the web in seconds and scours all the reputable Malaga airport car hire companies with your specific information i.e. your dates, pick-up location, size of car needed etc. and gives you the prices from each company with the lowest first. We have included the best tool that we found above. It is from an independent company called Car Trawler. We found they offered the cheapest Malaga airport car hire rates going and so we asked if we could incorporate them on our site as our preferred partner for car hire Malaga. They have special discounted internet rates with all the major international car hire companies and also the local Spanish ones too, so using their tool they compare all the rates from the various car hire companies and then give you the cheapest price for car hire from Malaga Airport, Spain. There is nothing wrong with choosing the cheapest car hire price as most of the cars used are the same from one company to the next – so why pay more for the same car? But do remember to make sure that you compare like with like – in other words that the options are the same i.e. some Malaga car hire companies include unlimited mileage – others don’t. Regardless of which Malaga airport car hire company you choose, there are certain things to be very wary of and things to consider before you book so do read our special page below which is packed with useful car hire Malaga tips.